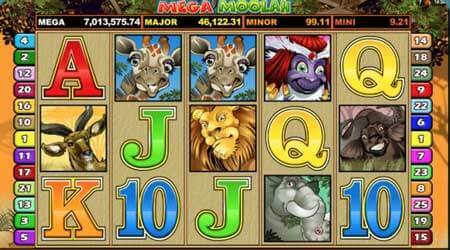 Our tip for you today is to play the jackpot slot Mega Moolah at Casumo! This progressive jackpot game has reached an incredibly high number right now and it is also getting higher. So if you want to win and take home this jackpot then you should definitely try out this slot machine. If you don’t like Mega Moolah then maybe Mega Moolah Isis is something for you? They share the jackpot so you have several chances to win! The jackpot is right now over £10.500.000! The record for this slot machine is £13.212.882 so it is really close to beating it’s own record. Perhaps you are the next millionaire? Visit Casumo today to get a chance on becoming a millionaire! At Casumo you’ll find several new slots to try! One of them is Babushkas which Thunderkick has created. 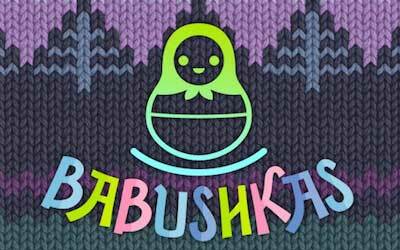 Babushka dolls in various sizes are symbols in this new slot machine. If you get a winning combination on the reels it could also activate the upgrade function. Thanks to the upgrade function you can get one or more symbols replaced by another that helps you win even more. Check out this new slot today! Furthermore you can find another new slot at Casumo, it is Gold Lab which Quickspin has developed. In this slot you can win 4 respins as a result if you get 3 golden symbols. Try it out when you pay a visit to Casumo! It can hardly have escaped any of you players that there is a European Championship in football going on. But right now it’s a few days break in anticipation of the grand finale between Portugal and France. If you suffer from football abstinence during this pause you might find the slot Football Champions Cup Interesting! The slot is created by NetEnt and was released in May. You can win up to 210 350 coins at the slot if you’re lucky. 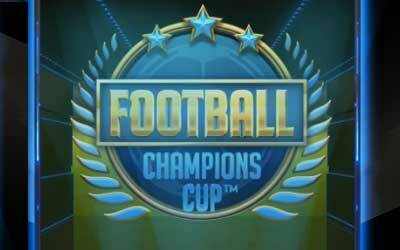 Football Champions Cup is a fun slot with two bonus features. One of them is randomly activated and transforms some of the symbols on the reels to wild symbols. The other one is a bonus game where you shall try to score and save penalty kicks. Try it, it’s really fun! In the slot you also have the chance to win free spins. If you spin three scatter symbols which in this slot is the golden cup. You can win as much as five free spins. During the free spins mode you shall hope for wilds in the colour of the nation team you have chosen. Because if you get more wilds than your opponent you proceed to the quarter final and get more free spins! As you can understand, the free spins round is formed like a football tournament where you can spin your way to the finals. Try Football Champions Cup at Casumo now!